Just days from now, Artifact will be published. 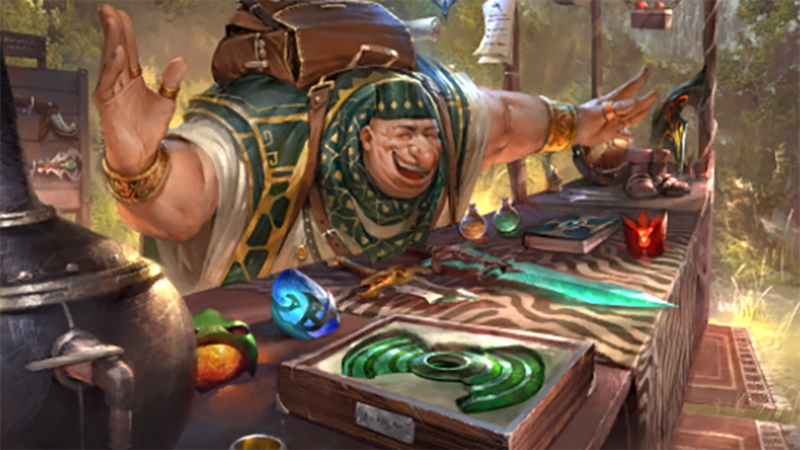 Valve’s card game enters the digital card game arena looking to find its place amongst established titles such as Magic: The Gathering, Gwent, and, king of the genre: Hearthstone. 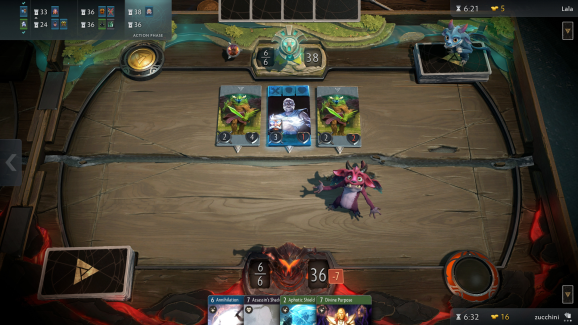 After a long private beta, Artifact’s public beta went live on November 19th for the people lucky enough to acquire a beta key. So far, the beta has gone pretty well. Valve swiftly addressed people’s concerns regarding the limited amount of free-to-play modes (in a game you pay $20 for) and even introduced a way for duplicate cards to be recycled. The backlash storm has calmed since, and the game is sailing towards its launch relatively smoothly. Since Valve seems very receptive to feedback, we wondered: What else can be done to further improve the game? How do you make a good game better? We asked card game legends Stanislav “StanCifka” Cifka, Frederik “Hoej” Nielsen, Muzahidul “Muzzy” Islam and Radu “Rdu” Dima what they thought would improve the game, now that they have spent many hours with Artifact. All four players mentioned that a couple of cards should really be tweaked. Nerfed, specifically. It’s a concern heard many times before on social media. In Artifact’s Constructed mode, you won’t win if you don’t have hero X. 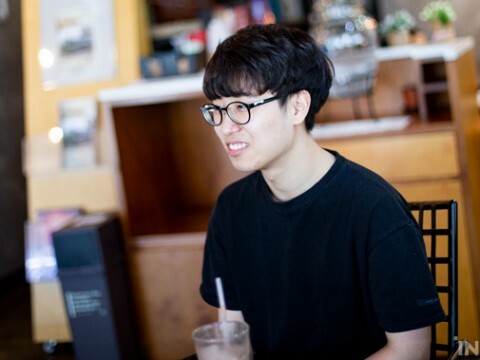 In Draft, Rdu says “it’s a problem a problem if there are some heroes that are completely unplayable and strictly worse from any point of view, compared to others." 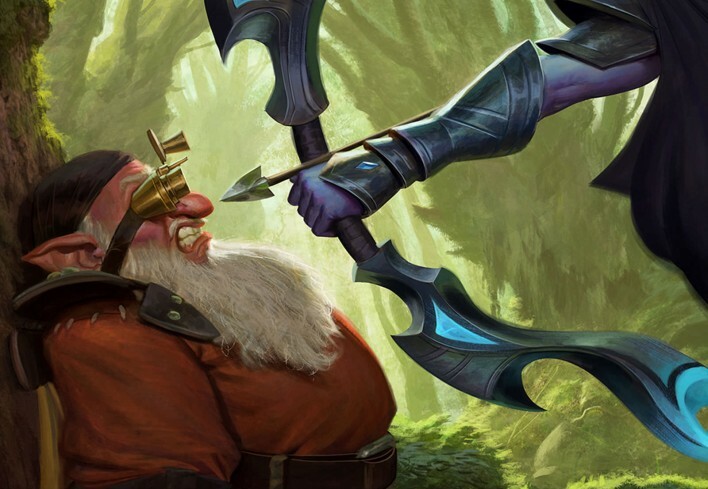 system is their highest priority post-launch,"
StanCifka and Hoej also address the card Cheating Death -- a green card that gives all friendly units in a lane a 50% chance to survive any lethal damage for as long as Cheating Death is in play. 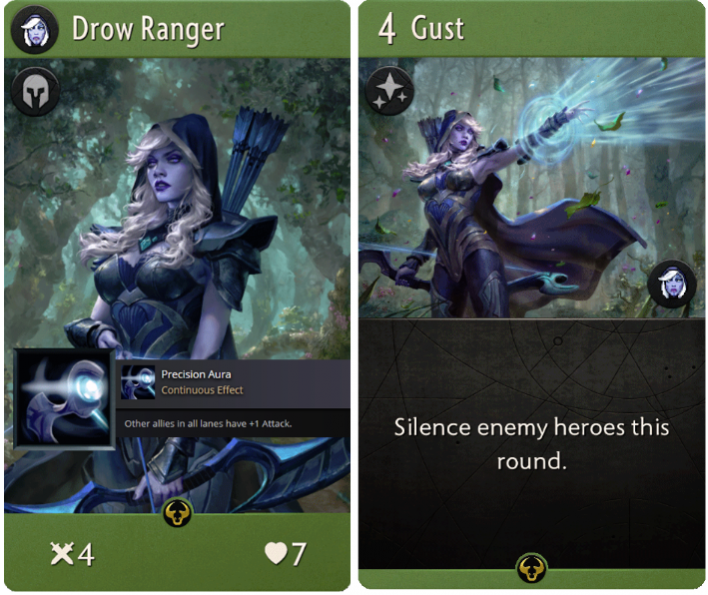 ▲ Drow Ranger and her signature card Gust, which effectively prevents the opponent from playing any cards in the lane for a whole round. This is kicking in an open door a bit -- Valve has tweeted that a progression system is their highest priority post-launch. Rightfully so, by the way. While the first days of trying out a new game players will come back to play just because the new experience is that much fun, eventually that charm wears off. Giving players objectives to work towards can be an incredibly effective method to keep them enthralled and engaged. An unsurprising request from competitive-oriented players is a way to rank players, to see who is the absolute best in Artifact. Another tough feature to make perfect, design-wise. Most competitive games have a ladder system, which can get notoriously grindy. ▲ Example of StanCifka’s deck-builder pet peeve. All blue cards become invisible in the deck you’ve built, if you filter your collection for green cards.